March « 2010 « Geekorner-Geekulture. Revisiting Memories. Re-Watching Gladiator and Braveheart. So, my girlfriend lives next to a cinematheque, and watches a lot of films. She does however have some gaps with some more mainstream films, and recently I’ve been trying to close some of those gaps. We’ve watched Gladiator a couple of months back, and Braveheart last weekend. 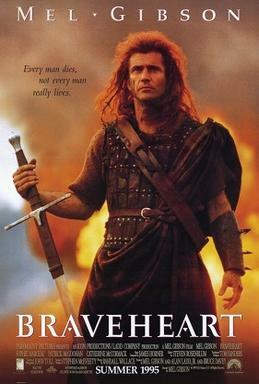 This was also a chance for me to re-watch Braveheart after not watching it for around 7-10 years. Gladiator had been re-watched since the time I’d first watched it, but I also own the DVD. This is a chance to revisit our memories, when we re-watch an older film, or re-read a favourite book. This is not something we can do with people or occasions, because those interactions have passed, and the memory does change the event, and even changes as time goes on. Movies, books, and other static media experiences, however, do not change, and remain the same as when we had first watched them. Except that they do not. The sequence of events is the same, in the film, in the book. But there is no story in a book, there is no story in a film. The story, the relations, the live people, the motives, the emotions; the place where they really live and breathe is within our minds, within our hearts. And as the saying goes, you can’t enter the same river twice (disregarding those who said you have no “unity” so cannot enter it even once ;)) as such, you don’t really read “the same book”. You have different experiences. Some Musings on Genre and Adherence. Yes, I know this post is long overdue, but once you slide off, it’s really easy to keep not posting. I am posting this now and not procrastinating (even longer) because once I get this up, I will return to posting. Expect some editorials on what I’ve been doing (miniatures mainly), and the promised “Geekhood in Israel” which will be interwoven with my own personal story of ascending to Geekhood Godhood, because it’s my story. Speaking of stories (which is one of my favourite topics), you might remember my Micro-Fiction of the “Nameless man”. That was a homage, and as such, it really was a “genre” snippet. Writing or telling in genre can be easy or hard. When your goal is to mimic and recreate a genre, it’s sometimes hard to not overdo it, to make it clear that you are drawing and referencing ye olde favourite genre while not being too hackneyed. It also keeps you very self-conscious, because genres are often less about what you tell and more about how you tell it; both the shape and form of the story, and the construction of the sentences. You really pay attention to every word. Of course, some people just write, and since they think in this genre, whatever comes out will be of the genre, without them giving this much thought. But then, it’s not really homage, it’s just how they write. Anime is a medium, but it also is a genre to a degree. It has tropes to itself, and certainly to its subgenres, such as “Determinator Shounen”, “Moe”, “High school”, “Dating sim romance”, etc. And part of what I’ve spoken about before regarding comedies, and how we’re all about the “insider jokes” to show and prove (even if only to ourselves) that we are “in the know”? That’s not just tidbits, it’s also the genre-trappings, the things that happen which show us we are actually watching something “of the genre”. The God-Machines of Atria Crumbled.